LONDON, Jun-16-2018 — /EPR Healthcare News/ — As a leading expert in her field, Dr. Christina Marrongelli, PharmD has been chosen by the World Congress on Pharmacology & Chemistry of Natural Compounds to moderate their 2018 conference: Exploring New Trends & Innovations in Pharmacology and Natural Compounds. The conference is being held in Paris, France on June 18, 2018. Dr. Marrongelli, who is an adjunct professor at the Medical University of South Carolina in the department of drug discovery and biomedical sciences will also present “Developing and Marketing Botanical Drugs in the United States”. The United States, which has the largest pharmaceutical market in the world, demonstrates a strong demand for the use of botanicals as medicine. However, to date only two prescription botanical drugs are currently approved for use in the USA: Veregen® (sinecatechins) and Mytesi™ (crofelemer). Marrongelli attributes this disconnect between supply and demand to hidden barriers. She notes that with the worldwide herbal drug market is expected to reach nearly $86.74 billion by 2022, businesses must identify and address these barriers so that heterogeneous botanical drug products can obtain the approvals necessary to meet the consumers growing expectations and demands for botanical medicines. To further explain the barriers to regulation of botanicals, Marrongelli points to the Botanical Drug Development Guidance for Industry from the U.S. Department of Health and Human Services, Food and Drug Administration Center for Drug Evaluation and Research (CDER) that was last updated in 2016. According to publication, regulation of botanicals in the U.S. is different from regulation in the rest of world. The U.S. does not have a separate regulatory category for traditional or herbal medicines: A botanical product may be classified as a food (including a dietary supplement), drug (including a biological drug), medical device, or cosmetic under the Federal Food, Drug, and Cosmetic Act (FD&C Act). Whether an article is a food, drug, medical device, or cosmetic depends in large part on its intended use. To learn more about the issues and barriers to the development of botanical drugs, please contact Dr. Marrongelli at Marronge@musc.edu or DrM@pharmD.expert. Santa Rosa, CA, 2016-Jun-17 — /EPR HEALTHCARE NEWS/ — It has been 20 years since California pioneered the nation in legalizing medical cannabis with Prop 215. Now California makes up 49 percent of the nation’s robust cannabis economy. California’s cannabis scene has exploded like the Wild West and there’s one more reason to celebrate. Sonoma County’s Canna-enthusiasts are invited to join Women Grow to mark its 1-year Anniversary with a celebration and award ceremony to honor ‘The Godmother of Cannabis’, Lynnette Shaw. Women Grow is a national organization that seeks to connect and empower women in the legal cannabis industry and the group’s Sonoma County Chapter is excited to share their achievements. In the past year, the Chapter brought in 23 industry leader speakers and panelists, of whom 21 were women and 2 were men. Speakers have included: Amanda Reiman, Manager of Marijuana Law and Policy at Drug Policy Alliance, Samantha Miller, President and Chief Scientist at Pure Analytics, Ellen Komp, Deputy Director at California NORML and Jazmin Hupp Co-Founder/CEO of Women Grow. The celebration takes place on Thursday, July 7, from 6pm to 10pm at Annie O’s Music Hall in downtown Santa Rosa. “Celebration Attire” is suggested. Early-bird tickets cost $25 and can be purchased through Universe.com. Terpenes 101 + Aroma Bar Presentation with Monica Fine of Absorb CBD and The Seasonal Apothecary. Award Ceremony Honoring Lynnette Shaw, presented by Ilana ‘Sugar’ Laytart and Elaine Holtz. Financial assistance may be available. Email sonomacounty@womengrow.com to inquire. This is a 21+ event and a non-consumption event. Women Grow connects, educates, inspires and empowers the next generation of cannabis industry leaders by creating programs, community and events for aspiring and current business executives in the cannabis industry. Women Grow is the fastest “growing” network of female-forward cannabis businesses and the largest networking organization in the cannabis industry. You don’t have to be a current professional in the cannabis industry to join. The Sonoma County Chapter is run by Founder and Chairwoman Ilana ‘Sugar’ Laytart and Co-Chair: Joyce Williams. While events are women focused, their networking series welcome and attracts both men and women to connect. Women Grow Networking Events occur the first Thursday of every month in Sonoma County. Website: www.womengrow.com. GENEVA, 2016-Jun-8 — /EPR Healthcare News/ — TESTmyBRAIN (Switzerland) has opened its first center of Functional Neurology in Europe. This non-invasive therapy (no medication, no surgery) coming from the United States helps patients suffering from migraines, concussions, strokes, AD/HD, Parkinson disease, Alzheimer, … all disorders related to the brain and the central nervous system. This innovative therapy combines several approaches and relies mainly over 3 decades of research on the eye-movements to diagnose and treat. Completely adopted and established in the United States, this therapy is almost unknown in Europe. This is the reason why TESTmyBRAIN Switzerland is happy to bring the American experts to Europe to teach other doctors and to help patients differently with their pain. Tubal blockage caused by inflammation, and hydrosalpinx, which are commonly used to be treated with surgery, such as laparoscopy, now can be cured with a new natural treatment – Fuyan pill – a herbal medicine invented by Dr. Lee who comes from Wuhan Dr. lee’s TCM clinic. It gives the hope for the female infertility to be conceived successfully. Wuhan, CHINA, May 04, 2015 — /EPR HEALTHCARE NEWS/ — The Fuyan pill, based on ancient Chinese formulas for gynecological inflammations, which lasts for over 5000 years, is made from natural pure herbs without any chemical composition. According to the data from Wuhan Dr. Lee’s TCM Clinic, this natural herbal formula has cured hundreds of thousands women infertility who had suffered from tubal blockage led by inflammation, hydrosalpinx and their complications. Chinese medicine owns outstanding sterilizing power to treat tubal blockage, especially, has special effects on hydrosalpinx. The pill can effectively cure these kinds of diseases without any side effects. It also contains prescription to clear away heat and toxic material, promote blood circulation, dissolve stasis, unblock the fallopian tubes and drive away the hydrops completely, which help to retrieve fallopian tube movements and clear the tube for the fertilization of eggs. Thus it could help patients conceive naturally without surgery. Patients could try pregnant after taking the medicine for 3 to 4 months. Dr. Lee Xiaoping graduated from Hubei College of Traditional Chinese Medicine, China. She qualified as an herbalist 30 years ago and is a highly experienced medical professional. She specializes in the field of male and female reproductive and urinary system diseases. She has devoted 30 years to her clinic and worked on the formula of Fuyan Pill for years. The medicine has proven to be effective on treating tubal conditions. The formula is patented by SIPO (State Intellectual Property Office of the P.R.C) with the application number 201110031968. Sufferers of leaky gut syndrome will be cheered by Karen Brimeyer’s announcement of a program called “Leaky Gut Cure” that can relieve symptoms and ease suffering from the crippling digestive track disorder. Based on healthy lifestyle recommendations, this holistic cure is based on dozens of effective ideas evolved over stringent testing and experimentation. Nearly 2 million people have leaky gut syndrome, a poorly defined and often under-diagnosed gastro-intestinal system disorder that causes belly aches, bowel disturbance and food sensitivities. Patients often complain of abdominal cramps, bloating, flatulence and indigestion. Tired of one fad diet after another, people who have silently suffered from the condition will find this leaky gut syndrome cure the answer to a prayer. “Obviously this system is based on extensive testing, and the author has clearly tried these methods out herself before suggesting it to others,” opined one of the early reviewers who thought the 5-point program was likely to help her. Many others who have undergone the holistic program have echoed similar sentiments. The system called “Leaky Gut Cure” was devised by Karen Brimeyer who is a holistic nutritionist and functional medicine practitioner. It is based on a five part sequence of advice that has been shown to reverse or at least mitigate leaky gut syndrome with all her own clients. The newly packaged course takes this information out to a new audience across the world. Many effective treatments and lifestyle changes are revealed in this guide, including 3 health foods that are widely recommended and consumed by millions of people daily, but that could make the symptoms of leaky gut syndrome worse. Considering how beneficial it is to sufferers, the program is affordable and widely accessible. Victims of leaky gut can get the information without wasting hundreds, or even thousands of dollars on expensive doctor visits or costly tests to detect and monitor disease progress. Each year, millions of Americans die of preventable, often chronic disease. This happens because people believe disease is caused by things they can’t control: inherited genes or aging. Neither is true. Health experts know that about 80% of health status is determined by daily choices and gene activity, not inherited genes or age. Most genes are active day and night. They respond to many activities, especially nutrition. Other areas play a role, including, exercise, stress, weight and inflammation. In fact, it’s normal to replace about 1 billion cells every hour, and over time, that complex process of cell division can cause mutations and errors. What’s more, those risks are markedly increased by an unhealthy lifestyle. 1. Nutrition and micro-nutrient intakes (vitamins, minerals, antioxidants) are key factors for gene activation and repair, including telomere length and longevity. 2. Other lifestyle areas contribute to gene health, including weight status, sleep, stress, activity, etc., and they all contribute to gene function, replication and repair. 3. Sirtuin proteins also help to activate or silence genes, especially those for metabolism, stress response, brain function, longevity, etc. Sirtuins are also enhanced by nutrient intake and harmed by nutrient deficiencies. There is now enough research to show how to maximize gene health and replication, including telomere length, health and longevity. By making the right choices, gene health can be maximized, including the repair of mutations and genetic errors. Humans can largely control their health and destiny today! An. Acad. Bras.Cienc. confirmed that Camu-camu was able to improve the biochemical markers of obesity in rats. Amazonian Camu-camu fruit (Myrciaria dubia) has attracted interest from food and cosmetics industries because of its rich content of vitamin C, flavonoids and anthocyanins. The goal of the study was to investigate the anti-obesity action of the ingestion of Camu-camu pulp in a rat model of diet-induced obesity – using Wistar rats with obesity induced by receiving diet ad libitum. The rats were divided in two groups: an experimental group that ingested 25 mL/day of Camu-camu pulp (CCG) and a non-treated group (CG). After 12 weeks, the animals were tested. Blood, liver, heart, white adipose tissues were collected and weighed; biochemical and inflammatory profiles were examined as well. Animals that received the pulp of Camu-camu had reduced fat in white adipose tissues and improved biochemical profiles of obesity including glucose, total cholesterol, triglycerides, LDL-c and insulin blood levels. There was also an increase in beneficial HDL-c levels. The research suggests there may be potential use for Camu-camu in the control of obesity and as a functional food. According to Matakana SuperFoods founder Dr Kevin Glucina the link to obesity came as a surprise to him. “We originally introduced Camu Camu to our product range because it is nature’s number one source of vitamin C complex. We had no idea it had potential to influence other biomarkers associated with obesity. This new research is based on a rodent model so now we need to see a follow-up human trial. Clinical research revealing the benefits of SuperFoods is accelerating as public interest grows about which foods provide the best naturally integrated nutrients for health. There is a large movement away from formulated vitamin supplements and toward Superfoods and wholefoods in general. If people realise they can get their family’s daily vitamin C requirements by adding a natural superfruit powder like Camu Camu to their daily smoothie, why would they choose to buy a synthetic vitamin C tablet that has been produced in China from corn starch? Sure, they both have vitamin C but the wholefood Camu Camu also contains a complex of co-factors, vitamins, minerals and health-supporting phytonutrients that are put together by nature to give you much more bang for your buck. Not only has our digestive system evolved with wholefoods, there are also many complex mechanisms in play in wholefoods. Camu Camu has approximately 120 different phytochemicals; just how all those phytochemicals interact for our benefit is a hot topic in scientific research. It is the synergistic interaction of the different compounds in Superfoods which may be responsible for throwing up surprising benefits like those seen in this study into Camu Camu and obesity. These complex natural substances and interactions from wholefoods and Superfoods just can’t be duplicated by chemists at this time.Personally, the only vitamin supplement I take is vitamin D3 in winter. For the rest, in most cases, I think we can get far better quality from good quality wholefood and Superfoods. The results of the Camu Camu study are very exciting and certainly support the high amount of interest in this new superfruit. The key thing I am taking away from this research is the influence that Camu Camu had on all the obesity biomarkers like blood-sugar levels and cholesterol. Sure, the rats lost weight, but more importantly, all the biomarkers became more healthy and that’s what’s important. I am always skeptical about claims made for one food as a cure-all for weight loss. In my opinion, even though the research looks promising, you can’t just rely on one magic food like Camu Camu to save you from the obesity epidemic. Lifestyle changes, the timing of diet and exercise are the most important factors when it comes to obesity; combine that with key super-nutrients and you are heading in the right direction. Camu Camu can be purchased from Matakana SuperFoods in bulk powder or capsule form and is also incorporated into the Matakana SuperFoods “Top 10 SuperFoods Super Shake”. Holistic health and wellness expert Steve Carney has relaunched his health website, EndSicknessNow.com. The newly revamped site has also reached a milestone with its 75th article. The site’s mission is to help readers and clients reach optimum health and longevity, a mission inspired by Steve’s own battles with serious health and life obstacles. “After a terrible childhood illness, I spent 20 years researching health, nutrition and disease prevention and treatment. I use a unique blend of consulting, support and encouragement to help each client achieve their health goals. Common health problems, such as high blood pressure, high cholesterol, excess weight, pain and inflammation often improve in a few weeks. Client’s enjoy more energy, stamina, and better sleep,” Steve explained. End Sickness Now is an expert source for optimum health and disease prevention. Steve provides the latest research and newest breakthrough methods for easy weight loss, preventing and treating health conditions, and improving mood. The site also helps to expose numerous nutrition, health and disease myths perpetrated by the medical industry and the media. “The constant flow of myths and misinformation creates confusion. Decades of nutrition and medical myths have harmed people’s health, along with their chances to live a longer life,” Carney stated. Steve is a Certified Nutrition and Fitness expert, and Professional Life Coach. For those who wish to take their first steps toward optimum health and wellness, contact Steve for more information about a free, 30-minute phone assessment. Just as there is no cure for the common cold there has not been a treatment for the hiccups. But an inventor in Sacramento, California believes he has developed just the thing to stop hiccups cold. Chuck Ray who suffered from hiccups for years came up with the tool he calls the Hiccup Stick quite by accident while fiddling with something in his mouth. After several working models, months of trial and error and with the help of family and friends he has parlayed his efforts into a new company that now offers consumers the first ever product to stop their hiccups. Ray’s company, Hicural began selling the patent-pending Hiccup Stick about a year ago after demonstrating its effectiveness and gauging interest among potential retailers and consumers alike. Already, Ray says, the Hiccup Stick has helped hundreds of people of all ages from casual sufferers to those with more chronic hiccup issues. “It hasn’t been just one particular group of people. It’s been everyone. Parents have bought it for their kids, for themselves, their parents or their friends. It really has been amazing,” Ray said. Although nothing can prevent hiccups from occurring, Ray says the Hiccup Stick can stop them in seconds whenever they occur no matter the cause. The person using it simply places the flexible and reusable plastic stick-like device with an open gate in their mouth while drinking a few sips of water from a glass. Within a few seconds, Ray says their hiccups are gone. Ray says the next step is proving the product in clinical environments where hiccup issues are much more severe. Ray says he has heard from doctors who have treated surgery patients with the powerful anti-psychotic drug Thorazine which has harmful side effects including high blood pressure and memory loss. Other doctors have told him that chemotherapy patients also suffer from severe hiccups. The Hiccup Stick, the carrying tube it comes in and its packaging is manufactured entirely in the U.S. The Hiccup Stick comes with a full money back guarantee and retails for $7.99. The product is now available in catalogs, some regional stores and online at cvs.com, drugstore.com, walgreens.com as well on the company’s own website, www.hicural.com. Please visit www.hicural.com for additional product information. The tennis world has seen many comebacks in the past but none as unlikely as this one. After 6 years Dennis Simsek a professional tennis player and teaching pro on the ATP tour has naturally been able to overcome Generalized Anxiety Disorder and Panic Disorder, after being moments from taking his own life. Emergency visits before and after important tennis matches, intense physical sensations that resembled serious illnesses during matches, and overwhelming fearful thoughts were just a few of the personal mental and physical battles. The ‘Me vs Myself On & Off The Court’ eBook outlines natural and unconventional ways Dennis overcame his mental illnesses. The coping strategies such as anti anxiety pills were only a short term fix that didn’t lead to long term recovery, and this is causing a major roadblock for people suffering from intense panic and anxiety these days. The ups and downs of this inspirational story will give readers a glimpse into the life of a professional athlete that feared everything from crowded areas to up tempo music. Readers will be able to relate to these stories, gain strength to stay motivated to face their fears, and reach their dreams through my online blogs and 30 day fear eliminator challenge set to launch on Jan 1st. This eBook as well as the many interactive tools were launched through The Anxious Athlete website on Dec 15th, and can be purchased through the website below. I am hoping you will be able to see the enourmous benefits that athletes and non athletes who suffer with mental illnesses will gain from reading this book. On Creative Biomart website, we can read a report about the 2012 Nobel Prize in Physiology or Medicine regarding the two winners. They bring hope for organ or tissue repair for human or even for rejuvenation, i.e. for long life through induced pluripotent stem cells (iPSCs). On Dec. 5, 2012, Roche (SIX: RO, ROG; OTCQX: RHHBY) and the Innovative Medicines Initiative (IMI) announced today the launch of StemBANCC, a new academic–industry partnership that unites ten pharmaceutical companies and 23 academic institutions. Initiated and coordinated by Roche and managed by Oxford University, StemBANCC aims to use human induced pluripotent stem cells as research tools for drug discovery with the goal of using this ground-breaking new technology to develop human disease models and enhance drug development. On Oct. 29, 2012, on the PANS Journal there is an article about Cartilage tissue engineering using differentiated and purified induced pluripotent stem cells. On Oct. 4, 2012, on Cell Stem Cell, there is a report with the title be Genome Sequencing of Mouse Induced Pluripotent Stem Cells Reveals Retroelement Stability and Infrequent DNA Rearrangement during Reprogramming. On Jan. 30, 2012, on the PANS Journal, there is a report about modeling hepatitis C virus infection using human induced pluripotent stem cells, which make the individual and tailor therapy further. But no one deny the great potential of iPSCs. Ethnobotanist, Jeffrey H. McCormack, Ph.D., says that what makes “Bush Medicine of the Bahamas” unique is its innovative, multi-faceted, cross-cultural approach that integrates oral history with botany, anthropology, and pharmacology. Its integrative approach and readable style make it especially appealing to Caribbean travelers, herbal practitioners, and educators. It also serves as a guide to medicinal flora. The residents of the Bahamas practice a form of traditional medicine using tropical plants for curing diseases and treating ailments. On his website (http://www.bushmedicine.org) lead author, Jeffrey H. McCormack, Ph.D., writes that the enslaved African ancestors of the Bahamian people brought to the New World a practical knowledge of medicinal plants, and a legacy of “medicinal plant literacy” that helped them “read” and recognize the potential healing qualities of the many new and unfamiliar plants of the Bahamas. Under the influence of European and colonial practices, their diverse beliefs and healing practices were then simplified, distilled, transformed, reformulated, and further refined by generations of experimentation. This distinctive form of medicine is of value today for what it tells us of a unique culture, traditional healing, and the therapeutic value of their plants. “Bush Medicine of the Bahamas” is the recipient of the 2012 Mary W. Klinger Book Award for outstanding book of the year, awarded annually by the Society for Economic Botany. 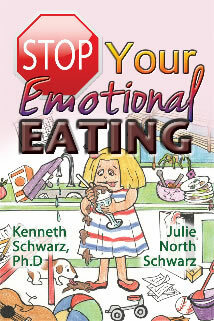 The book has also been selected for the 19th annual Virginia Festival of the Book held in Charlottesville, Virginia, March 20-24, 2013. Published by JHM Designs Publications, Charlottesville, VA, this is a large hardcover book (9” x 12” x 1”) of nearly 400 pages, including 161 illustrations (104 in color). Additional illustrations include photographs of bush medicine practitioners and island landscapes where they harvest their plant medicines. A dictionary of Bahamian dialect is included in the appendix. There are four indexes including common name, scientific name, subject index, and index of medicinal plants according to principal uses. The lead author, Jeffrey Holt McCormack, Ph.D., is formerly a faculty member at Middlebury College, and the University of Virginia. Trained in natural products chemistry and physiological plant ecology he has worked in the fields of sustainable agriculture, genetic preservation, plant breeding, and ethnobotany. Co-author, Kathleen Maier, P.A., RH, is a nationally known herbalist, and recipient of the first Medicinal Plant Conservation Award bestowed by the United Plant Savers. Co-author, Patty Wallens, M.A., has a background in medical interviewing and home-based counseling. The 3 day 3:30 Detox Diet combines 10 unique high-quality, super-ingredients which will set users on the path to better health, according to Matakana SuperFoods founder Kevin Glucina. “When I initially set out the foundations for the 3:30 Detox Diet I had many natural super-nutrient ingredients to choose from to help get the formula right. I narrowed that field down to the 10 most important ingredients for a detox diet. We included Cracked cell Chlorella which has recently been tested in Japanese clinical trials for reducing dioxin transfer from mothers milk to baby with remarkable results. Another ingredient is a long chain polysaccharide from Goji berry which has shown some protection for the liver in alcohol poisoning in rat studies. Both of the ingredients mentioned seem to reduce the impact of radiation exposure in human and rodent studies as well so there is a component in their antioxidant or phytochemical profile which is beneficial to our health. The calorie intake from the 3:30 Detox Diet sachets, which are taken in a glass of water 4 times per day, is low but the nutrient content is very high. In the sachet formula I have included 7 ingredients which have some of the highest natural antioxidant levels in nature, as well as a powerful array of vitamins, minerals, electrolytes and phytochemicals. With the 3:30 Detox Diet we are restricting caloric intake over the 3 days but at the same time flooding the body with super-nutrients. The result will be a 3-day transformation of body chemistry, alkalinity and overall nutrient profile. Matakana SuperFoods have been a world-leader and first to market with many popular Superfood products. There are “world first” ingredients in the 3:30 Detox Diet as well. The ingredients contained within the12 capsules which participants will take each day, in addition to the 4 sachets, contain 2 organically-certified green alkalisers and a special new purified ingredient from Undaria seaweed called Fucoidan. Fucoidan is a leading new product in the world of nutriceuticals and clinical research in Asia and Australia has shown that Fucoidan aids the function of adult stem cells by making it easier for the stem cells to get to and aggregate at repair sites around the human body. Stem cell nutrition is the new horizon in the health food industry. Adult stem cells are the most important component of repair and maintenance of our immune system and body on every level and any natural substance that can support stem cell function has incredible potential for our health and wellbeing. This is the first time such a rare substance like organic Fucoidan has been used in a detox programme, and combined with all our other super-nutrient ingredients it will make the 3-day 3:30 Detox Diet one of the most advanced detox diets anywhere in the world. Polycystic Ovary Syndrome (PCOS) Afflicts More Than 1 in 10 Women, causing obesity, infertility, increased miscarriage rates, adult acne, increased risk of heart disease, cancer and diabetes, and more. September marks a campaign to increase awareness of this common, misunderstood and potentially debilitating illness. Women suffering from Polycystic Ovary Syndrome – a complex disorder of the endocrine system affecting 11% of women, according to a report from The Adelaide University – often find themselves desperately seeking relief from their myriad symptoms. Research shows that 9 in 10 women with PCOS consulted more than one health professional prior to their diagnosis, half took more than six months to receive a confirmed diagnosis and 4 in 10 were very dissatisfied with how they were informed about their illness. According to the Robinson Institute “little information is given about lifestyle management or complications of PCOS even though 57% of women were confident their lifestyle management will improve their condition.” Lifestyle management is also what the latest research shows is ‘the best medicine’, and is the foundation of Dr. Rebecca Harwin’s new, comprehensive book ‘Conquer Your PCOS Naturally’. Conquer Your PCOS Naturally – A New Book Offers A New Approach Typical treatment protocols for PCOS include a whole host of medications. From birth control pills and insulin-sensitizing medications to ovulation induction, anti-androgen medicines and topical medications, many of these conventional treatment paths can prove both ineffective and even toxic to the body. 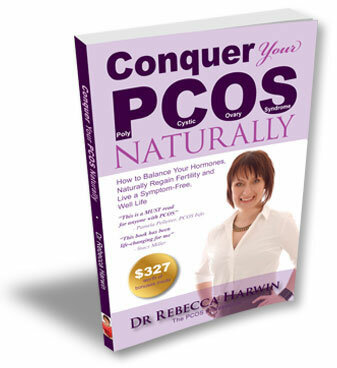 In a desperate search for a better way, Dr. Rebecca Harwin slowly and systematically developed a cutting edge, natural approach to PCOS relief – a method she’s now compiled into an exhaustive treatment plan online and in her new book, ‘Conquer Your PCOS Naturally’. Dr. Harwin says “I knew many other women were suffering just as I had done and I also knew there was very limited accurate information available. I realized I had a responsibility to get this powerful information into the hands, minds and hearts of other women with PCOS. My book ‘Conquer Your PCOS Naturally’ is dedicated to helping women regain their health, boost their fertility, restore their period, lose excessive weight, and live a PCOS free life,” she said. With September’s PCOS Awareness Month and Dr. Harwin’s tireless dedication to raising the awareness of this common, potentially debilitating, syndrome, there is hope of recovery – and a healthy life – for women afflicted with PCOS. A First of its kind Yoga and usability website, Yoga-and-Pranayama.com was launched last week. The website aims to be a one-stop online resource for all modern day Yoga needs. It seeks to bridge the gap between the classical approach to Yoga and today’s necessities. Here you will find your nearly every Yoga need covered. This includes several painstakingly written detailed articles, Yoga learning / demonstration videos, e-books, free mini ecourses, Yoga holiday retreat vacations, Yoga classes, Yoga teachers among several other unique documentation. Topics covered cover the lifecycle of Yoga and its benefits on life, as we know it! The website encourages the reader to make Yoga not just a way of life but life itself ! Every piece of information on the site has a story behind it and one, hopefully your life will be enriched by. The written word is well researched and the videos are chosen with care. The website offerings does not promote any particular form of Yoga or beliefs that have religious bearings. The website is secular, all welcoming and most importantly research and fact based. Also the website is not a monologue. It is designed to be interactive and changes according to the users’ needs. One of the unique features is real time information and not just some fuddy-duddy stuff you thought you read somewhere else! Content on the website is easy to read, simple and speaks to, as friends do. In addition to being a Yoga related site, it also encourages practical listen and learn sessions. You can register for in-retreat Yoga workshops and programs conducted in the sunny state of Goa, India. The team at www.yoga-and-pranayama.com are young and sophisticated. They understand the need for the ‘simple’ luxuries, yet are sensitive to the health, spirituality and well being imperative. Their workshops can create a pleasant cocktail of Yoga and everything Goan – food, hospitality, sand, surf, sun and love ! They combine the “fun in the sun” experience with Yoga’s spirituality, peace and all the calmness that comes with it to help create some of the most memorable moments of ones lifetime ! The website is not a static page – it lives, breathes and evolves with you. You are encouraged to visit, stop a while, browse, read, watch and most important talk to then. Tell them stories about where you’ve been to what yoga means to you. You are just a click away from Yoga nirvana.